HP ENVY All-in-One 27-b145se Review: Why Should You Consider Buying This Sophisticated 27-Inch AiO? Looking for an all-in-one PC that can adequately handle just about everything? And has a decent amount of RAM? What about a clear, functional display? One excellent computer that offers all of these things is the HP ENVY All-in-One 27-b145se. It’s a lot better than the standard desktop out there, but not as expensive as a high-end gaming machine. This AiO is intended for any user who wants decent hardware and features all bundled together in a large, yet thin display. With a 7th generation Intel Core processor, NVIDIA GeForce GTX graphics, and 16GB of memory, this HP ENVY has a lot of capability. You should be able to multi-task at ease, or play most games with decent settings. You can even order the all-in-one with a touchscreen (2560 x 1440). The high-quality display can be tilted 5-degrees forward to 35-degrees back. The entire machine has sophisticated style, including the thin metal stand and “floating glass” Micro Edge display. It brings a lot of class into any home or office. It functions just as well as any desktop, except it comes without the bulky tower. Wireless technology and Integrated GbE LAN are built in, which means you won’t have to worry about any cords and plugs when connecting it to the internet. In addition to Intel Dual-Band Wi-Fi AC technology, Bluetooth 4.2 is included. There are some unique features such as a pop-up camera and microphone and HP quad speakers. Audio is provided via Bang & Olufsen and comes out of the quad speaker setup. 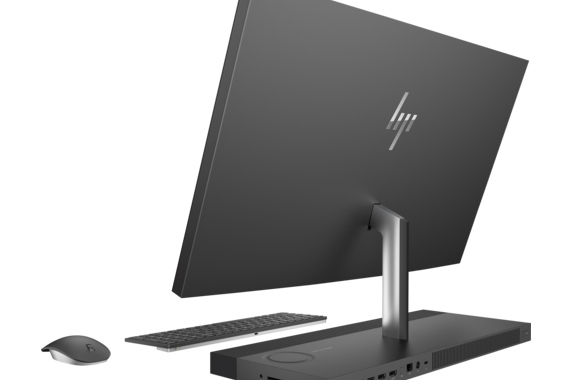 In addition to the 27-inch display, the HP ENVY All-in-One 27-b145se comes with an optical mouse and HP Premium wireless keyboard with volume control. How much memory does this machine come with? You can order it with 16GB total (2 x 8GB), which is more than enough for most of tasks. The hard drive is a 2TB SATA (5400 RPM). If you need additional storage space or a faster hard drive, there is an option for a 256GB SSD (PCIe NVMe). The 3-in-1 card reader supports MMC Multimedia Cards, SD Secure Digital Cards, and SDHC Secure Digital High Capacity cards. As for the processor, you get an Intel Core i7 quad-core (7700T) mode with 8MB cachel that can achieve up to 3.8GHz with turbo boost technology. The NVIDIA GeForce GTX dedicated graphics card is 4GB. The operating system the AiO comes with is Windows 10 Home (64 edition). 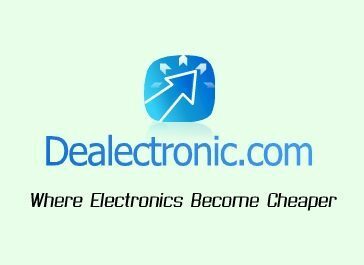 Overall, the HP ENVY All-in-One 27-b145se is an excellent, nicely-designed machine that comes with great features at a reasonable price. Now that you’ve read this HP ENVY All-in-One 27-b145se review, if you think you want to buy it, you’ll want to first look over HP coupons and special offers – you never know when a great deal might be available!